Spend the day working in the garage (or yard, or workshop, or secret underground moonshining operation), and your hands are going to look a bit rough. Paint, epoxy, adhesives, resins . . . regular soap just won’t cut it, and you suspect that industrial cleaners may be killing your brain cells. What to do? 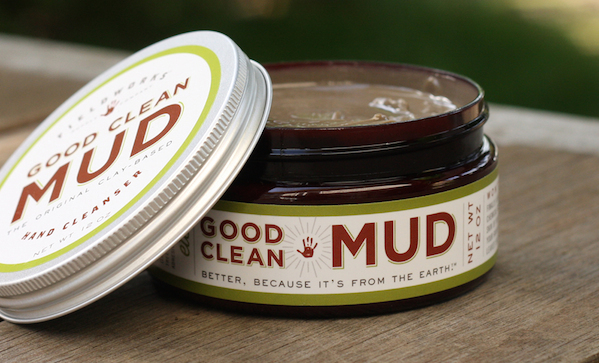 Use some good clean mud ($12) from Field Works. It can clean off all that aforementioned gunk without scorching your hands and it’s literally mud. And olive oil, coconut oil, bentonite clay from volcanic ash . . . still, literally mud.